The Department of State Services has dismissed one of its staff, Jaja Otelemaba, for taking bribe from motorists while on election duty in Ekiti State. Mr Peter Afunanya, Public Relations Officer of the Service, in a statement on Saturday in Abuja, said the officer was seen on social media where he was negotiating with a motorist for financial patronage. “The fact is that when the news broke, the Service initiated a line of investigative actions. “These include the search and identification of the said officer; his withdrawal from the duty post and issuance of a memo as applicable to his cadre and rank,” he said. He said that Otelemaba was tried in an orderly room and summarily dismissed in line with the Service’s disciplinary procedures. The spokesman said that the dismissal was in accordance with the Director General of the Service’s commitment to promote discipline in the Service. He said that his stance on issues concerning discipline has continued to prove his intolerance for misconduct and discreditable behaviour. “The Service reaffirms its commitment to professionalism, excellence and the rule of law. 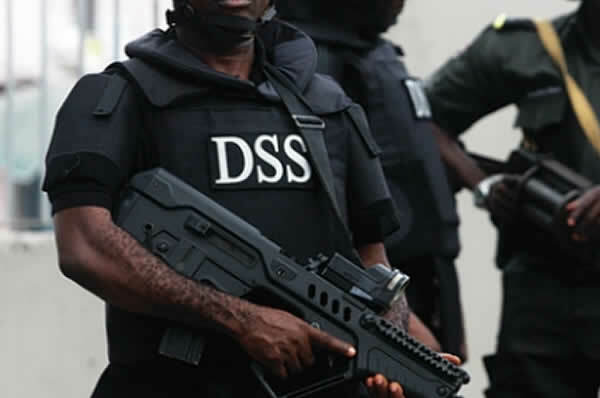 “The DSS, as usual, rededicates itself to the security of the ongoing electoral exercise and reassures the nation of its sustained transparency and accountability in dealing with citizens,” he said.